Justin Kueh was diagnosed with profound hearing loss at a young age. Because of this, he relies on hearing aids and without them, Justin could hardly hear at all. He also has tinnitus, a constant phantom ringing in the ears which makes it hard for him to sleep at night, and distracts him in the day. Despite his condition, Justin has never faltered in the pursuit of his musical passion. 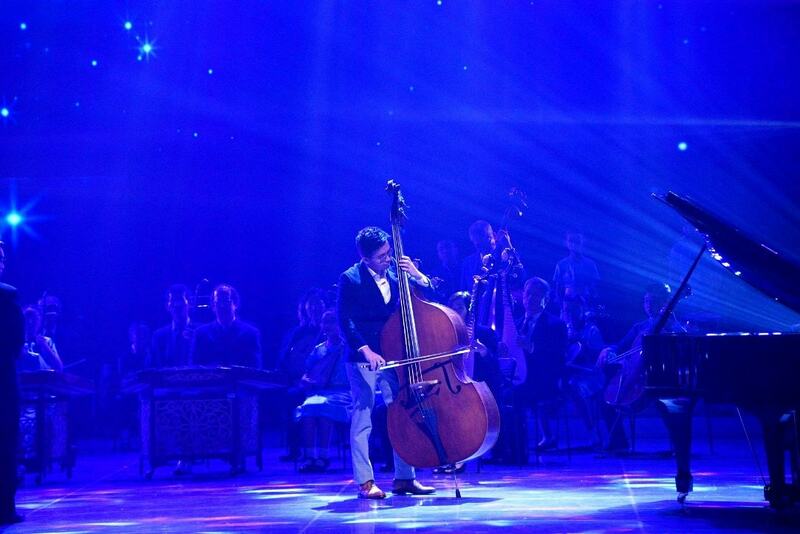 His talent in music is evident as he clinched the GOLD award during the Singapore Youth Festival in 2013, and received a distinction in his grade 9 ABRSM exams for double bass. He also obtained a music elective scholarship from 2015 to 2016, and the SPD Youth Aspiration Award in 2018. Justin is currently studying politics, law and economics at the Singapore Management University. Though his hearing loss makes learning an uphill task, his hard work paid off as he achieved a GPA of 3.71/4 which earned him a place on the Dean’s list. 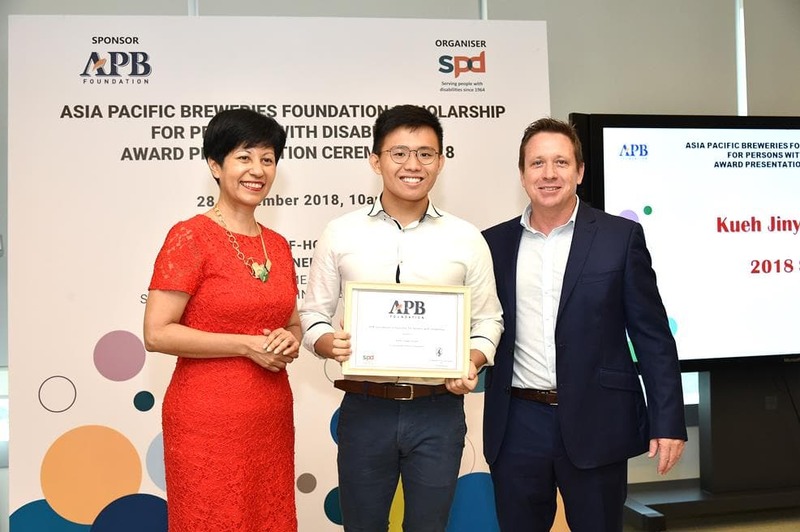 The 20-year-old aspires to advance social causes and contribute to the formulation of key policies for Singapore in the future, and the Asia Pacific Breweries (APB) Foundation Scholarship is supporting him in fulfilling his dream. 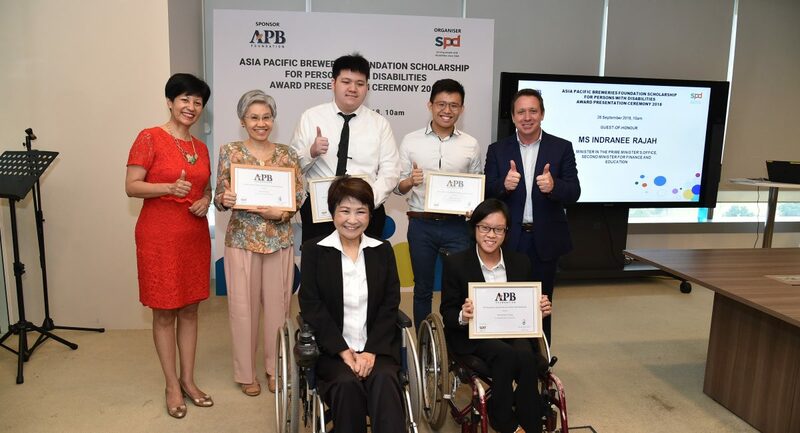 The APB Foundation Scholarship for Persons with Disabilities is a multi-disciplinary scholarship that recognises excellent academic results of students with physical, hearing, visual or speech impairment, as well as developmental disabilities, and enables them to complete their undergraduate studies at a recognised local university. are applying for full-time first degree programme in local universities. For more questions, please contact us here.